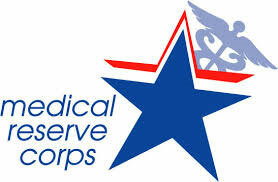 Graves County Health Department Medical Reserve Corps in Mayfield Kentucky: Providing clinical services, health information, public inspections and information, WIC and Nutrional Programs and More! The Graves County Health Department Medical Reserve Corps is a volunteer program dedicated to improving the health and safety of the communities across Graves County by organizing and utilizing public health, medical and other volunteers. The Graves County Health Department Medical Reserve Corps (MRC) is dedicated to identifying, organizing, and training volunteers before a crisis occurs to respond to the specific needs of the community, thereby enhancing local emergency response efforts. Our mission is to establish a team of trained medical and non-medical professionals, to enhance our response capabilities and supplement the existing emergency response system in the event of an emergency. Volunteers shall also work to improve the overall health of their community. GRC units are community assets comprised of medical, public health and non-medical volunteers who are willing to assist their community in the event of a disaster or emergency such as an ice storm, disease outbreak, or tornado. Heroes aren’t born, they volunteer. The time is now, Prepare. Prevent. Respond to disasters. For more information about becoming a volunteer, call Shea Rogers at 270-247-3553. We do not know when the next disaster will strike, but when it does, time is of the essence. Graves County Health Department Medical Reserve Corps is committed to making every minute count by having volunteers ready to respond. In preparation of response, volunteers need to have a family preparedness plan, have an understanding of infection control guidelines and be trained in basic response. It is vital for our volunteers (as well as all individuals) to have a family preparedness plan in place so they can respond knowing their family has a plan. Below you will find several links that may assist you in creating your own family preparedness plan. In a disaster or emergency volunteers may come in contact with injured victims, it is important that our volunteers understand the basics of infection control. Below you will find links pertaining to infection control. Training raises confidence levels when responding; enhances response capabilities and helps to reduce costly mistakes. Below you will find links to Kentucky TRAIN (A learning management system for public health) and FEMA’s (Federal Emergency Management Agency) training website.